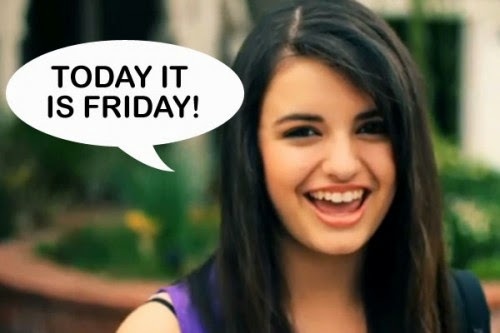 It's Friday, Friday, Gotta Get Down On Friday! Um, sorry you will be singing that all day now, won't you? Anyway, welcome to Mommy Reality Challenge #23! 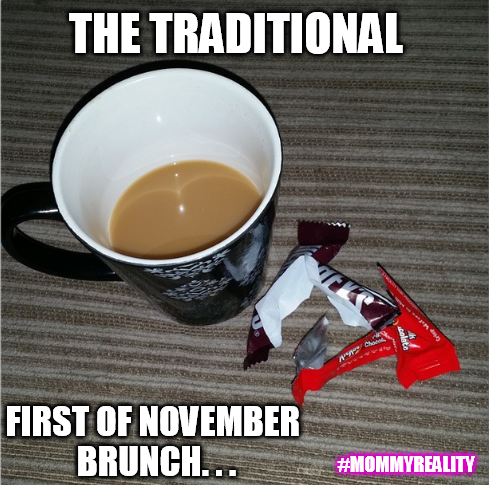 If this is your first time hearing about the Mommy Reality Challenge we are so glad you are joining this great community of moms who participate in our bi-weekly challenges that showcase all the fun, crazy, and sometimes overwhelming moments that are in every mom’s life! Please don’t just read. 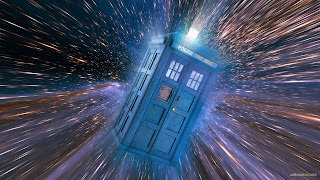 This is an INTERACTIVE post! Come join in all the fun! 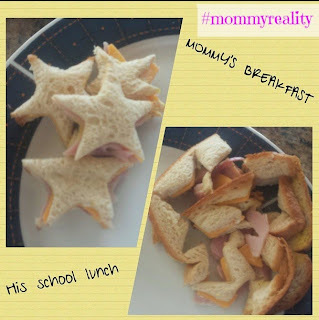 You will take a pic, post it to the social media account of your choice with the hashtag #mommyreality or write a post and then link it up to this blog post! Then in two weeks, we will announce our favorites and award a meme to the winner! Celeste had us share what we Moms really eat for breakfast. Since this challenge started on Halloween there seemed to be a unifying theme to our breakfasts. 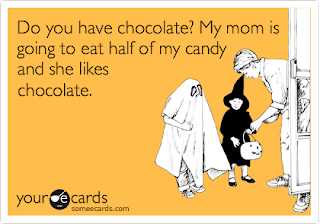 I think it is safe to say that as Moms we did a pretty thorough job this year of inspecting and checking our children's candy stashes. Lauren of Motherhood and Beyond for her submission via Instagram of the crumbled remains from her son's lunch she made that morning which then served as her breakfast. It is important to note that the Mommy Reality team has now met an all new high of efficiency when our participants start making their own memes! Winning! Thanks Lauren and we hope you will join us in two weeks for our next Mommy Reality Challenge! Now, since all of the hard work for this last meme was done by Lauren I don't want you all thinking we are becoming slackers here, so we have invented a completely NEW holiday meal. Check it out and tell us you aren't on board! Thank you Echo of Domain of The Mad Mommy for submitting this picture that so moved and inspired us to create this holiday that will now be celebrated the world over. Don't forget to take a walk down memory lane to see all of the other #mommyreality memes on our tumblr page. Before we move onto our new Mommy Reality Challenge we want to give special thanks to Marie of Normal Everyday Life for co-hosting this last challenge with us! It's time for the next Mommy Reality Challenge! 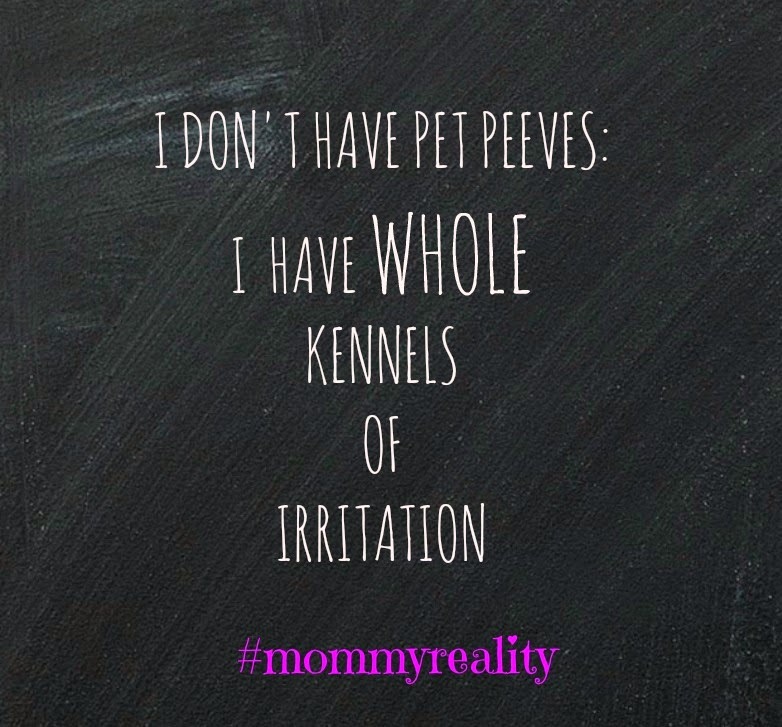 Meet The Mommy Reality Team! Amber from Our Charmed life! 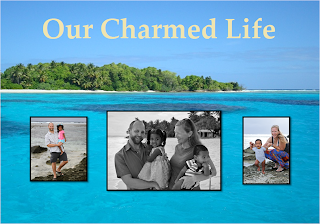 Amber's blog is the story of a family living in the Marshalls: two travelers settling down in the islands, starting a family through adoption, and doing their best to have fun and live life to the fullest. We are so happy to have you joining us Amber for this next challenge! As a reminder Amber won our Scare Us Mommy Reality Challenge. 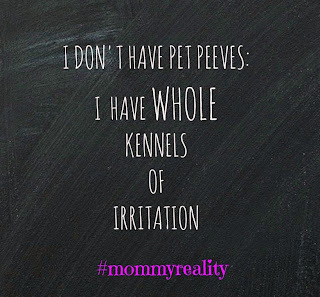 Does this quote describe you, well we want to know YOUR pet peeves? You know it will feel good to share them. This week as Jen was preparing breakfast for her children she encountered one of her personal pet peeves. 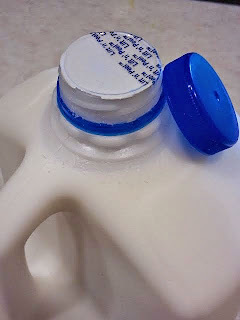 The official handbook says that you need a set of needle nose pliers and a blowtorch to bypass this "safety device" because Heaven forbid that the children and their parents should be able to bust through the seal of doom to access a glass of healthy, nutritious milk. However, to be fair, we all remember that rash of milk poisonings that terrified the dairy drinking nation! Actually, no, I don't recall anything like that EVER happening. So, FAIL! You have 2 weeks to complete this challenge! Don't forget to grab our super-nifty button! ✔ *By submitting your pic, you are giving the Mommy Reality Team permission to use your photo to create a special silly meme for you if you win! :). If you win and you’re a blogger, you also have the to opportunity to be our co-host! ✔ **The Mommy Reality team and our special co-host are VERY diligent in pinning, posting, and sharing the link-up participation every week, so make sure to follow us on our social media channels so you won’t miss out! We encourage you to visit a couple other Mommy Reality participants in the link-up and leave meaningful comments! The best part of this link-up is that we’re a community of real moms with a sense of humor about ourselves! So happy to have you co-hosting with us!